Jon Alan Riley, Sr., age 67 of Troutville, died Saturday, January 26, 2019 at Carilion Roanoke Memorial Hospital following a brief illness. Jon was born in Roanoke June 3, 1951 and lived in Troutville most of his life. He was the son of the late Rosley and Alma Carr Riley. Jon was an electrician for Norfolk and Southern Railroad for forty years. 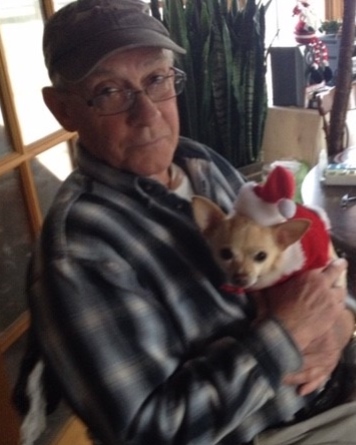 He enjoyed cattle farming and his dogs Chico and Taco. Jon is survived by his long-time companion of 20 years, Becky Hensley; son Jon, II (Ashley Peace) of Troutville; grandchildren: Rossleigh Riley and Remington Riley; brother Kenny Rickman of Bedford; sisters and brothers-in-law: Donna and Dave Childress of Roanoke, Darlene and Paul Wiley of Salem, and Kay Martin; Becky’s children: Wes and Mary Hensley, Michael and Christy Hensley all of Buchanan. Funeral services with full military honors will be 2:00 pm, Wednesday January 30 at Rader Funeral Home, 630 Roanoke Road Daleville with Reverend J.R. Graybill officiating. Private burial will be at the convenience of the family. The Jon’s family will receive friends at the funeral home Tuesday, 6-8 pm. Memorial contributions may be made to League of Animal Protection, PO Box 561, Fincastle, Virginia 24090. Online condolences may be made to Jon’s family at www.rader-funeralhome.com.